The extent of pollution with organotin compounds and Cd, Pb, Ni, Cu, Zn, Cr, Mn, V, Co and Al was investigated in sediments and mussels (Mytilus galloprovincialis) from the Slovenian costal area of the Northern Adriatic Sea. Sampling was performed in Marina Portorož, Dockyard Izola, non exposed area of the Bay of Mesečev zaliv and in Mariculture Sečovlje. Mussels were taken in the summer and winter time, while sediments were collected during the winter sampling. Organotin compounds were determined by gas chromatography—mass spectrometry and metals by flame or electrothermal atomic absorption spectrometry. The accuracies of the analytical procedures were checked by the analysis of standard reference materials CRM 477 mussel tissue and PACS 2 marine sediment (organotin compounds) and SRM 2976 mussel tissue and CRM 320 river sediment (metals). Good agreements between certified and determined values were obtained. Normalization procedure to Al was applied to estimate the anthropogenic inputs of metals in sediments. The analyses of sediments demonstrated moderate pollution with organotin compounds in Marina Portorož and in Dockyard Izola. Concentrations of tributyltin species were higher than those of dibutyltin and monobutyltin. In mussels substantial contamination with tributyltin was observed in Marina Porotrož and Dockyard Izola. The extent of pollution was higher in the winter time. 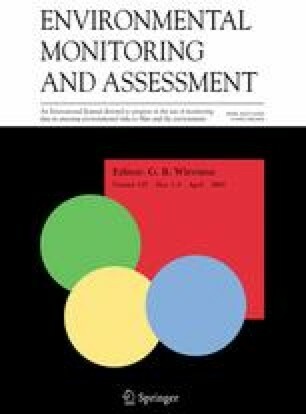 The analysis of metals in sediments exhibited elevated concentrations in Marina Portorož and Dockyard Izola. Data from the normalization procedure indicated the anthropogenic inputs of Cu, Zn and Cr in Marina Portorož and Mn in Bay of Mesečev zaliv and Dockyard Izola. Mussels, as accumulators of pollutants, in general contained higher metal concentrations during winter time in Dockyard Izola. Canadian Sediment Quality Guidelines for the Protection of Aquatic Life (1999). http://www.ec.gc.ca/ceqg-rcqe/English/Pdf/sediment_summary_table.htm.